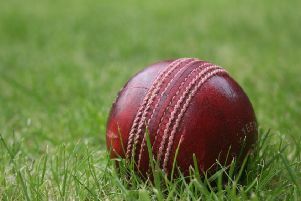 Barkby United Second XI cmpleted a thrilling comeback to beat Highfield by 11 runs in a low-scoring Division Five East clash on Saturday. United won the toss and batted first, but were soon in trouble as Ben Hollis was bowled for seven and opening partner Lloyd Phillips was caught at mid-off for one. Jack Wilkinson was dropped three times on his way to making 11, and was eventually caught off the fourth, and two more wickets went down without scoring to leave Barkby struggling on 34-5. A steady partnership between Billy Tebbatt (6) and Max Carmichael (17) halted the flow of wickets before a crucial eighth wicket stand between Ryan Waplington and captain Adam Cookson spared Barkby’s blushes. The pair added 60 runs in testing conditions with great patience and determination before Cookson was given out LBW for 32. Waplington was bowled for 26 late on, but they had given Barkby a chance of defending a score as the visitors were bowled out for 125. In reply, Louis Botting ripped through the Highfield top order with three quick LBWs and a clean bowled. Botting took a crucial fifth wicket of the Highfield opener who had scored 58, but the game looked out of Barkby’s reach with Highfield reaching 90-5 as they continued ticking the runs off. Botting (6 for 34) returned to take his sixth scalp to reignite the visitors with Rangers on 100-6, but with plenty of overs in hand. Dave Botting claimed his first wicket thanks to Jack Wilkinson’s catch and Carmichael had the last recognised Highfield batsman caught at mid-wicket by Jack Wood, only to be ruled a no-ball. Only a few balls later, a fire-up Carmichael had the same batsman caught at square leg by Dan Lever and soon added another, LBW. Highfield were nine down needing 11, but Dave Botting clean bowled the number 11 to leave Highfield all out for 114. On Saturday, Barkby host Asian Sports at Beeby Road.